The price of oil is going to stay lower for the next few years, possibly within the $US70 – $US90 per barrel-range, according to Citi research. Brent crude fell tumbled to four-year lows this week after OPEC, the 12-nation oil exporting cartel, announced that it would not reduce production. As Business Insider’s Myles Udland wrote, energy stocks got crushed on this half day of trading. 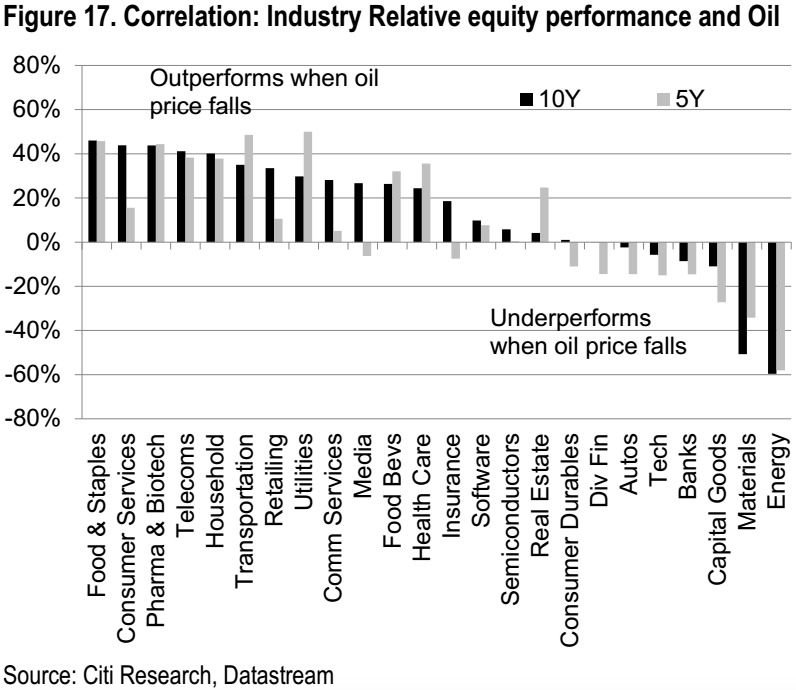 And from Citi’s research, they evidently decline the most when oil prices fall. “According to our analysts, oil services and midcap [Exploration & Production] stocks are the most vulnerable to lower oil prices as they are high beta plays on oil,” wrote Citi’s Robert Buckland and team. Below is a chart that shows how all the various equity industries perform when oil drops. Among the industries that outperform in a low-oil-price environment, Citi highlighted that retailers benefit because of the impact of low gasoline prices on consumers.